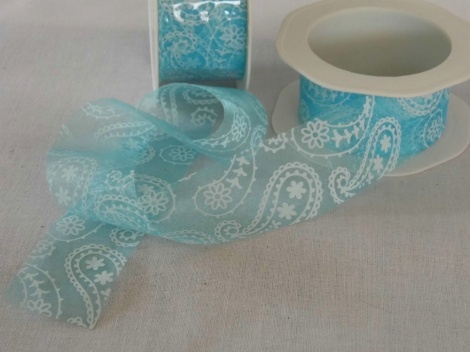 A lovely aqua blue sheer organza ribbon with a paisley print. 40mm wide. Sold per metre.